Photos spark an emotional connection in a way that text cannot. Brands everywhere are becoming more visual and it’s becoming easier to do so with Autoxloo. Photos are the biggest lead generator you have at your disposal. The more photos you have, the more leads you will generate, and the more sales you will make. Having several great photos of every car on your lot is the cheapest and most effective way to increase your sales. But to achieve even better results use our Canned Images module which allows you to upload your advertisements between your vehicle photos images. You can change order of these images and preview how it will look inside DMS. And after that enjoyed perfect advertisements on the Vehicle Detail pages or Gallery pages. 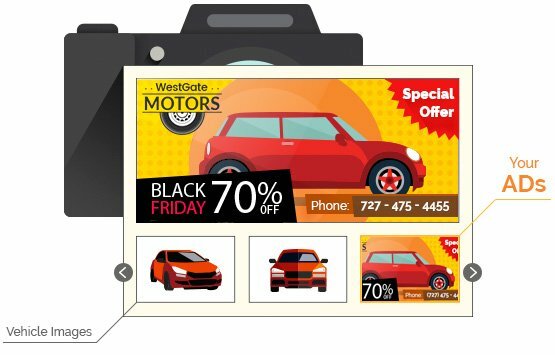 Dealers who use Canned Images generate more interaction with their listings. Websites with Canned Images garner significantly more traffic to their online Vehicle Detail pages. Promote your specials and be noticed, make every moment a Call-To-Action. This will help motivate engagement. Canned Images makes the prospect become intimate not only with the car and makes them take mental possession of the vehicle before they even test drive it, but also bonds customers with you. Advertise your strongest asset – your dealership. The good news which do not cost much money to promote the dealership, but it does generate a return on your investment of time. Canned Images are an affordable marketing and branding opportunities for any budget. Never underestimate the power of photos. 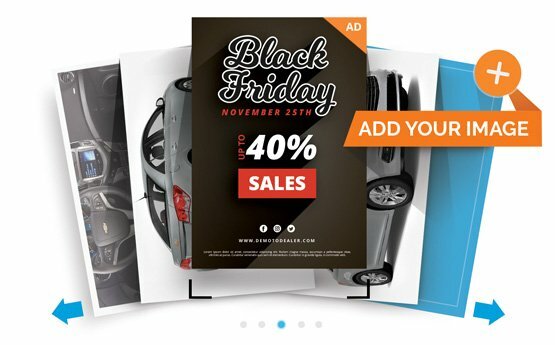 Use creative and relevant methods to advertise your dealership with us. Autoxloo projects the professionalism of your dealership and increases your sales. If you are looking for a company that is on the cutting edge of visual communication, Autoxloo is what you need.